It’s a simple question, but the answer is far from straightforward. Let us help navigate the minefield with our guide to taxing your car. You might know car tax as road tax or even its current correct name of Vehicle Excise Duty, but car tax is paid to central government for all cars (and certain other vehicles) driven or parked on the public road. The term ‘road tax’ is a little misleading – the funds gathered go into the government’s kitty rather than being ring-fenced to pay for road maintenance – so think of it as a tax for use of the road rather than paying for it, although the government has said this will change from 2020. Related: Complete guide to company car tax for employers. How much is my car tax if I’m buying a brand-new car? If you’re buying a brand-new car after April 2018, you pay a rate depending on the vehicle’s CO2 emissions, ranging from £0 for cars with zero emissions, all the way up to £2,070 for cars that emit over 255g/km, which covers you for the first 12 months. Find out more about all the rates. There are a couple of other refinements to the cost: diesel cars that don’t meet the latest RDE2 standard (a new test for nitrogen dioxides) pay a little more, and alternatively-fuelled vehicles pay a little less for each emissions bracket, but you can view specific emissions data for each new car on the Auto Trader website, on the gov.uk website, and via manufacturer websites. The upside to buying new is that the first year’s VED is included in the on-the-road price, so you won’t have to find that money up front. From the second year onwards, you pay a different rate; £140 a year for petrol or diesel, £130 a year for alternatively-fuelled vehicles, and £0 for fully-electric. Also, if your car has a list price, including options, of over £40,000, you pay an annual premium on top of £310. This ‘second-year’ rate applies for the next five years, after which you pay the standard rate for your vehicle of £140, £130 or £0. How much is my car tax if I’m buying a used car? 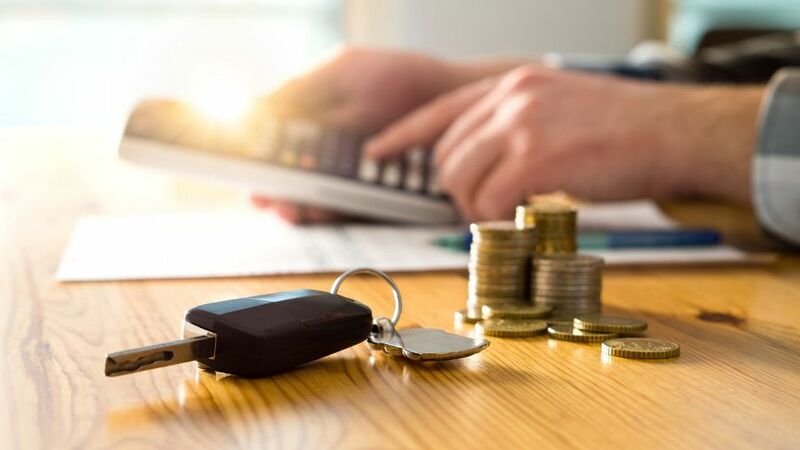 If you’re buying a used car – and that could include a car that is a month old to something over 50 years old – what you pay depends on when the vehicle was first registered, and subsequently which set of rules it falls into. If your used car was registered after 1 April 2017, you will pay the ‘second-year’ rate as shown above – so £140 for petrol or diesel, £130 for alternatively-fuelled cars and £0 for fully-electric. The £310 supplement for cars that cost over £40,000 will apply every year until the car is six-years-old. If your used car was registered between 1 March 2001 and 31 March 2017, car tax is calculated solely on vehicle emissions. Petrol and diesel cars pay anything from £0 for up 100g/km, to £555 for over 255g/km, whereas alternatively-fuelled cars pay between £0 and £545. You can find specific rates for your car here. If your used car was registered before 1 March 2001, things are refreshingly simple; you pay £155 for 12 months if the vehicle’s engine is 1549cc or smaller, and cars over 1549cc pay £255. As well as the usual websites, your vehicle handbook will tell you the exact capacity of your engine. Finally, cars that are 40 years old or more from their date of manufacture (not date of first registration) are tax exempt. The exemption comes into effect every April, so April 2018 saw all cars built prior to 1 January 1978 become exempt. However, if it has not already been classified as an historic vehicle (the V5C registration document will tell you this) then you need to complete the relevant section on the document and go to a Post Office with your V11 tax reminder letter and a completed V112 document which confirms the vehicle is MOT exempt – this also occurs when a vehicle is 40 years from its date of manufacture.